Internationally acclaimed artist Oleg Dou was born in 1983 in Moscow and graduated from the Moscow State Institute of Steel and Alloys in 2006. Since then, he has worked as an artist in cooperation art institutions and curators around the world. They were never meant to just be faces, and they were never meant to just be beautiful. That is the talent that consumes Russian artist Oleg Dou. When his work is completed, the viewer will either be intrigued or indifferent. Every single photo done by Oleg Dou is not a simple process for the average Adobe Photoshop user. There is meticulous effort into whom he chooses, and the editing that goes into the photos. He never falls short of perfection when bringing the imagery of his mind to life. Oleg’s inspiration is drawn from a constant personal narrative. We believe that we rarely see him in his photos, but the truth is each and every photo is an extension of himself. When his work is viewed, he doesn’t want to tell you what it means. Each image can be something different to every person, there is no wrong answer and there is no right answer. Dou speaks about how on social media we can display a happy and bright appearance, but that’s all it ever really is, a fabrication of who we are. With Broken Mirror we are given the chance to discover more about what we represent and ourselves. We can see the brokenness that we all can carry everyday. It is a chance to see us stripped down, to our very naked self. Oleg’s work is continuously inspired by this interest in human individuality and self-expression and the attempts to solve the problem of identity in our age. Visually intrigued by the culture of fashion and surrealists, his 2006 Naked Faces project was devoted to the relationship between a human’s inner self and his behavior in society and proposes that the expectations of society set the standards of behavior and thought in terms of what is appropriate and acceptable. Oleg Dou first exhibited at Deborah Colton Gallery during the 2012 FotoFest Biennial in Focus on Russia II and has also been featured by Deborah Colton Gallery at the Dallas Art Fair, the Houston Fine Art Fair and ArtAspen. 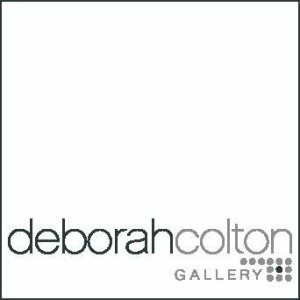 This year Deborah Colton Gallery will debut his newest collection of works in a solo exhibition entitled, Broken Mirror. The exhibition will open in March 2016 and will be in conjunction with FotoFest Houston. Broken Mirror will be on exhibit at the Deborah Colton Gallery now through April 23rd, 2016. Darwin received his BFA in Painting from the Kansas City Art Institute. During his time in Kansas City, viagra buy he participated in community based non-profit for inner city youths and programs as an art educator, unhealthy lead artist, and lead muralist while also showing in local galleries. He hopes, through his work, to engage with the local community on the street level and to contribute to the development of a progressive and innovative artistic environment in Houston. The result of his artistic experimentation is rooted in processes that exploit the unpredictable intersections of materiality and form, as each of his artworks is in the first place, a reaction to itself.\n\n \n\n1. What do you do to bring art to the surrounding community?\n\nI would hope [to bring] a feeling of belonging and self awareness; a shared experience.\n\n2. How did you first get into art?\n\nIn the beginning…I think it was just my intent to materialize images from story telling.\n\n3. How has your talent evolved since you began?\n\nI try not to define or stop the direction of the an instinctual vision.\n\n4. What type of art/artist do you most identify with?\n\nPhotographers and sculptors, those who embrace material and narrative.\n\n5. What is your biggest dream as an artist?\n\n I was always fascinated by videos of Picasso drawing and his decisive, [intended] marks and movement. I would like to have that sense of intent.\n\n6. What is your favorite thing to do besides art?\n\nExplore, be outside, take in the landscape. Voyeurism.\n\n7. What was your inspiration for your part of the Collective Solid?\n\n Manifesting our relationships as creatives. \n\n8. What is the most memorable thing someone has said to you about your work?\n\nI had a professor who was not my instructor, Carl Kurtz,compliment a sculpture piece of mine by saying how balanced and Zen it was. That has always stuck with me.\n\n9. How do you think people should try to find art in their daily lives?\n\nArt is everywhere, you just need to find the intent.\n\n10. Do you have any advice for aspiring artists?\n\n If you are not creating you are not an artist. Patrick Renner is a native Houstonian, search and received his BFA from the Kansas City Art Institute and his MFA from the New York State College of Ceramics at Alfred University. Renner teaches art part-time at the Sharpstown International School and maintains a rigorous studio practice. His artwork has been exhibited in many venues locally and in various venues in the United States. In 2015 his sculpture Funnel Tunnel garnered critical acclaim and a national award for public sculpture. It moved to New Orleans for display earlier this summer. His presented works, tailored to this exhibition, make use of his familiar cloud motif and his signature wood-worked sculptural methodology but also incorporate kinetic and electronic applications.\n\n \n\n1. What do you do to bring art to the surrounding community?\n\nWhen possible, especially with my larger public installation pieces, I hope to bring something to the surrounding community that not only is a point of interest, but also gives all people an opportunity to contribute their creative energy to the end product.\n\n2. How did you first get into art?\n\nI would attribute my inclination toward art making to my parents: my dad is an excellent illustrator and my mom got her terminal degree in a painting and printmaking. As a kid they took me to the museums often, and we frequented galleries and even some artists’ studios, so that it became familiar while still being exciting to see the process and the outcome.\n\n3. How has your talent evolved since you began?\n\nThe woodworking skills I learned from my grandfather evolved in complexity with practice, aka trial and error. Other techniques learned from various mentors along the way cycled into my practice and have given me the ability to make many of the things I see in my head…although some still allude me on how to bring them to fruition.\n\n4. What type of art/artist do you most identify with?\n\nAlthough I tend to identify myself as a sculptor, I get a lot in the way of influence from other art genres—especially painting—as well as many things not even directly in the conversation of art. Architecture, film, culinary, quilting, music, car culture, folk art, and an equally random assortment of other things filter into my work.\n\n5. What is you biggest dream as an artist?\n\nThat my work could open doors for me to travel other places is something I would never tire of. The opportunity to see new places and meet new people as a result of my creative endeavors has been my goal from early on in my art career.\n\n6. What is your favorite thing to do besides creating art?\n\nWatching movies, reading, social discourse (preferably over beers).\n\n7. What was your inspiration for your part of the Collective Solid?\n\nAll the works I made for this show used the stylized cloud icon. It has persisted as an interesting image to me because it can encompass a variety of ideas. Cloud gazing is an activity that may be as old as history, something people did well before the invention of any of the devices that tend to occupy so much of people’s time nowadays as a diversion. When cloud gazing, people are free to let their minds wander and the associative exercise of identifying pictures in the clouds can be quite fun and amusing. In general, my interest in presenting an artwork is that it become a container/a place for people to map their own ideas onto; for me there’s no such thing as right or wrong associations, just like with cloud gazing.\n\nConversely, since clouds are tied to weather and storms, there can also be a melancholy or tumultuous quality to the image. The ‘silver lining’ notion is one that’s been personally poignant for a period of time in my life, so it’s a useful symbolic device. And in regards to the show title Collective Solid, I love that clouds are just that…something that takes form out of a nebulous conglomeration of water vapor; the mutable nature of our ideas and working methods as artists in the show is akin to a shape-shifting cloud moving across the sky.\n\n8. What is the most memorable thing someone has said to you about your work?\n\nI don’t remember.\n\nMaybe when a guy in a car yelled at me while I was working on an outdoor piece: “I know what it is, but what’s it gonna BE?!”\n\n9. How do you think people should try to find art in their daily lives?\n\nTo me it’s not a requirement, like something people should do, and it definitely shouldn’t be forced. Having said that, I think everyone oughta enjoy whatever it is they feel excited by in the aesthetic realm.\n\nWhen you see a beautiful thing enjoy the beautiful thing. Maybe that’s a sunset, or an attractive person, or a beautifully decayed building that has weathered into a divine wreck. Eat delicious food, drink good drinks. Listen to music that transports you to a higher plane emotionally (happy, sad, etc.). Wear the clothes that feel comfortable and that express your self-expression.\n\nAnd if you’re so-inclined, go look at some capital A-R-T. If not, maybe get some ice cream or something.\n\n10. Do you have any advice for aspiring artists?\n\nAspire. It’s your most powerful tool to get where you want to go.\n\nRemember, you are the only one who knows the nuanced beauty of what that picture of your success looks like, the one in which your dreams are coming true for your future self. Jonathan Paul Jackson is a native Texan. He is a self-taught artist working in Houston. Having apprenticed with and been influenced by Houston artists Angelbert Metoyer and Robert Hodge, ailment Jackson has inserted himself into a heritage of Houston art-making that begins, in some ways with patriarchal figures in Houston art Jesse Lott and Bert L,. Long, Jr. His artworks are the result of experiments in abstraction as he forages a new philosophy toward painting that is at once his own as well as part of a larger dialogue about the nature of painting and perception, executed through the filer of an African American perspective.\n\n \n\n1. What do you do to bring art to the surrounding community?\n\nI have been organizing art shows for emerging artist between the age of 17-35 at alternative spaces for the past 11 years in Houston.\n\n2. How did you first get into art?\n\nI have been naturally curious of art since I was a young child. Luckily enough my uncle and brother could draw really well so they taught me at about the age of 11.\n\n3. How has your talent evolved since you began?\n\nYes, for sure. And I hope it continues to do so.\n\n4. What type of art/artist do you most identify with?\n\nMy art has been called abstract expressionism. I mean there’s the obvious Jean-Michel Basquiat. But I love the work and philosophy of Albert Oehlen who’s a German Abstract Expressionist.\n\n5. What is you biggest dream as an artist?\n\nTo live incredibly comfortably off of selling my art work and have sculptures or installations in 5 major international cities.\n\n6. What is your favorite thing to do besides art?\n\nCooking and having dinner parties with friends. I also enjoy riding bikes.\n\n7. What was your inspiration for your part of the Collective Solid?\n\nPushing myself and my imagination in a different direction.\n\n8. What is the most memorable thing someone has said to you about your work?\n\nHaving an important mentor tell me to make art for myself and if others like it than that’s just a plus.\n\n9. How do you think people should try to find art in their daily lives?\n\nThey shouldn’t feel that have to find it. It’s everywhere. Maybe read about different disciplines in art. So when they are in their everyday lives they will be able to recognize the art that exist around them every day and when they go to museums and galleries they approach the work with a different mind set. I hope that makes sense.\n\n10. Do you have any advice for aspiring artists?\n\nNever stop working. Always be making art. Always have a sketch book out when not painting. And when not sketching or painting, be gathering resource material. Always be working. David Adam Salinas considers photography historically as being a medium that is most often associated with clarity, sildenafil free from any artifacts from which it was made. His aesthetic approach highlights the process of analog photo making with chemistry, the paper it is printed on, and evidence of hand crafted or applied alternative materials. He uses solvents and paints combined with custom developing recipes to manipulate the image in the same manner a painter would approach a canvas. He combines traditional darkroom photographic techniques with his own devices to produce a final image from his experience that weaves the subject matter of the photograph with the final treatments of the processes employed.\n\n \n\n1. What do you do to bring art to the surrounding community?\n\nI feel I like to get out in the surrounding area of the studio. I take portraits of the people in that community. They’re mainly \”street people,\” but it’s for me it’s different because I have developed a relationship with them. Almost everyone I photograph on the street loves that I spend time with them, it’s nice to not be ignored. I go out of my way to communicate with them because they deserve that. That’s what they want, not the money or the sympathy, but to be acknowledged. I know the story behind the image… that’s what I bring that’s different.\n\n2. How did you first get into photography?\n\nI’ve always wanted to be an artist. I tried painting, but I never developed an artistic manner. I grew up idolizing artists, it was a path I always wanted to follow, but I didn’t have the knowledge. I didn’t have the training to get there. Five or six years ago, I got really into photography. I would just read endless articles and watch videos to really learn. I got a job at a camera store, being around people in the photography community taught me so much. It was amazing hands on learning. I felt like I learned more than my friends who were taking classes at the local universities. The path I chose to take has really benefited my passion.\n\n3. What type of art do you most identify with?\n\nPainting. My photography gives more of a painterly feel, you can tell it was created by hand. I love the uncommonness to the tone. Its something handmade and the gesture is left with the image. That’s why I identify most with painters.\n\n4. What is your biggest dream as an artist? \n\nTo be remembered. I want to have images that will last, something that is iconic.\n\n5. What is your favorite thing to do besides photography?\n\nSleep, I never do.\n\n6. What was your inspiration for your part of Collective Solid?\n\nJust being around the group and knowing your’re part of something big. Being the inexperienced one in the group motivates me to make something great so I can feel like I belong with them.\n\n7. What is the most memorable thing someone has said to you about your work?\n\nA few years ago at a show I was showing photographs at, an older woman told me she loved my watercolors. She taught my photographs can be interpreted wildly differently and that meant so much.\n\n8. How do you think people should try to find art in their daily lives?\n\nTo just be a good observer. Seeing what would make a good photo or composition.\n\n9. Do you have any advice for aspiring artists?\n\nIt is important to have an incredible drive. There will always be set backs, but the drive to keep going early on will really set you apart. Deborah Colton Gallery represented artist and international art star, patient Olga Tobreluts, advice has been included as a featured artist in a group museum exhibition, Absolute Beauty – Neoacademism in Saint Petersburg, which opened earlier this month at the Ludwig Museum of Contemporary Art in Budapest, Hungary. The artwork included in Absolute Beauty highlights the remarkable Post-Modern New Academy movement in Russian art, which was founded in 1988 in Saint Petersburg and aims to reintroduce to an art-savvy audience to the oft-considered taboo subject of “beauty.” Established on convictions of ideology and the idea of the ideal image, Neoacademism marks a return in Russian art of classical traditions and sensibilities, in the context of contemporary Russia. Founder and Managing Director, Deborah M. Colton of Deborah Colton Gallery, had the pleasure of visiting Budapest to attend the Ludwig Museum Opening to support Olga, whose work will next be presented at the 2015 Houston Fine Art Fair and the 2016 Armory Show with a Private Gallery Show in NYC to follow. Coming to Budapest to meet Deborah Colton and join the Ludwig Museum Festivities was one of Deborah Colton Gallery’s other Russian artists, Oleg Dou. Oleg and Deborah spent a day together planning Oleg’s world wide debut of new work for his 2016 solo exhibition at Deborah Colton Gallery which will take place next March during Houston’s FotoFest Biennale.